Frizzy, wild, frequently covering your eyes (or sunglasses). 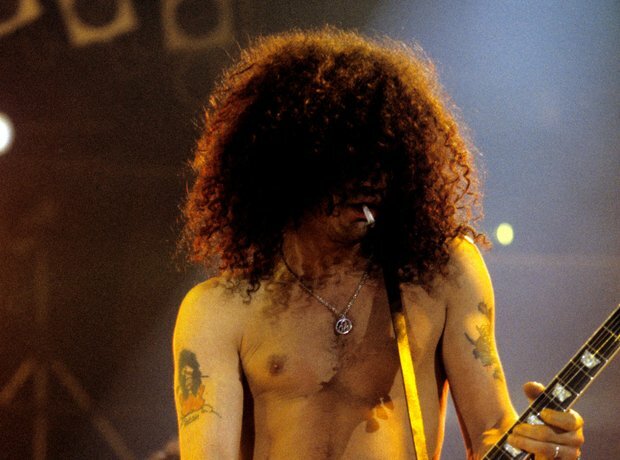 The Guns 'n' Roses legend has admitted that he spends every summer considering getting a haircut...but always thinks better of it. Top hat: optional.